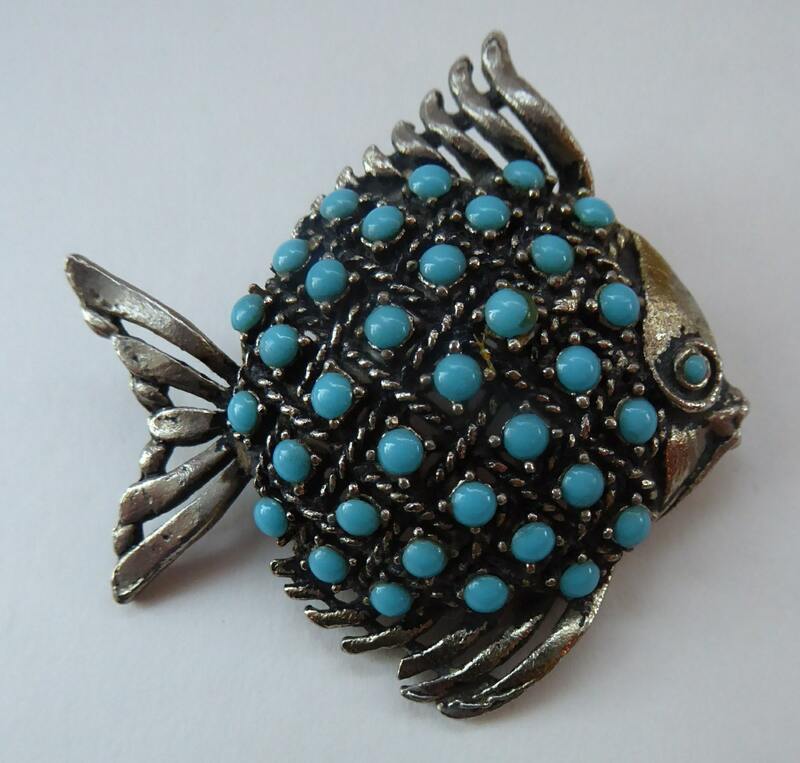 This is a lovely vitnage brooch dating to around the 1960s. 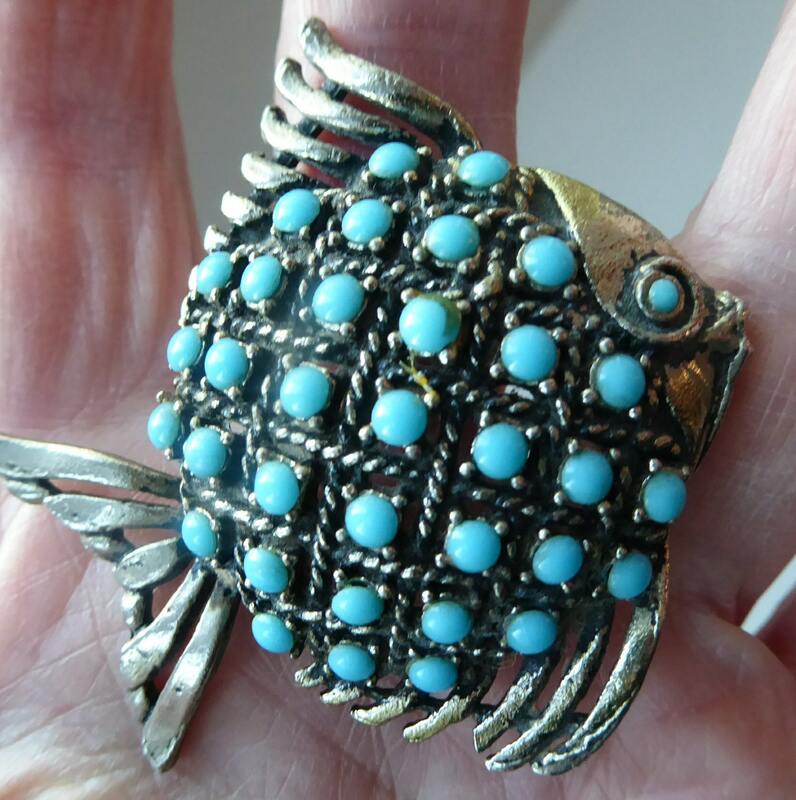 It is quite a substantial piece - made of silver-tone metal (not silver!). The main body of the fish is not flimsy in construction but it quite heavyweight - and very nicely made. 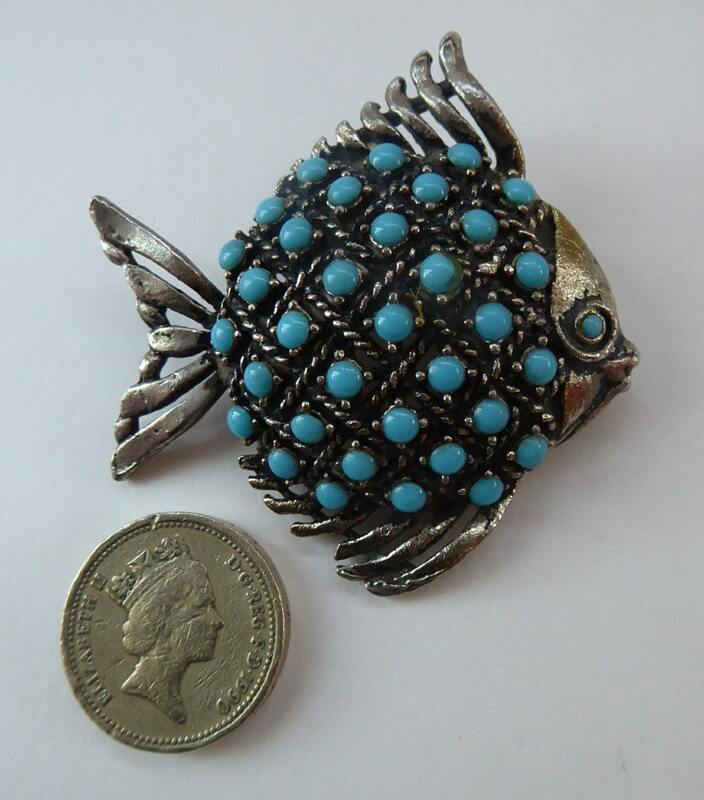 The fishes little scales on the top of brooch each have a little turquoise coloured bobble. 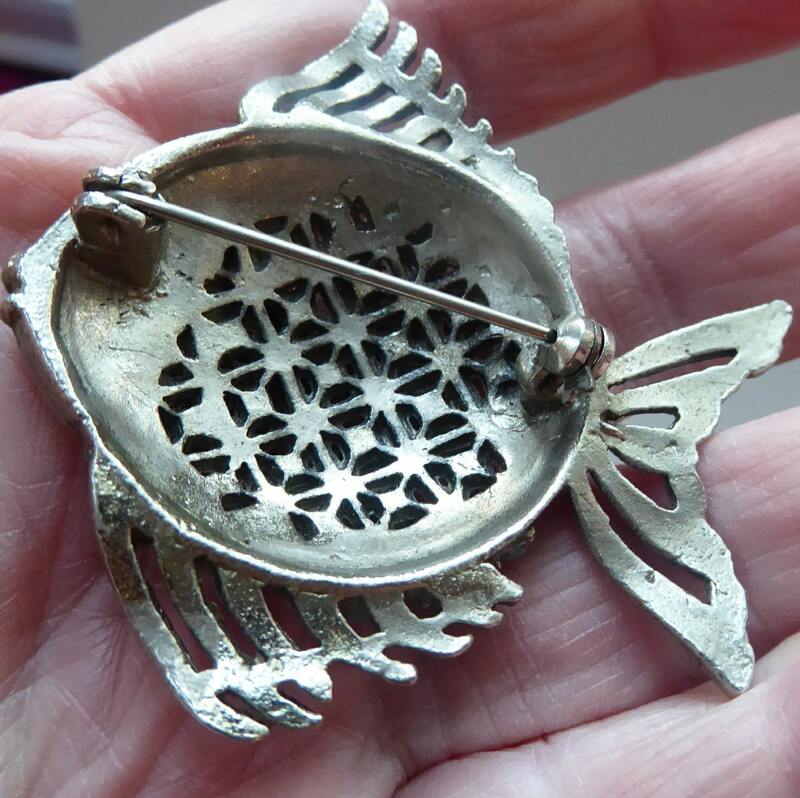 As you can see from my photograph of the underside - the details of the fish are formed by cutting out the shapes and letting the light through. It certainly looks nicer in "real life" than suggested in my photographs. The main body of the fish is not flat but has a nice curve to it - as you might find in a real fish. 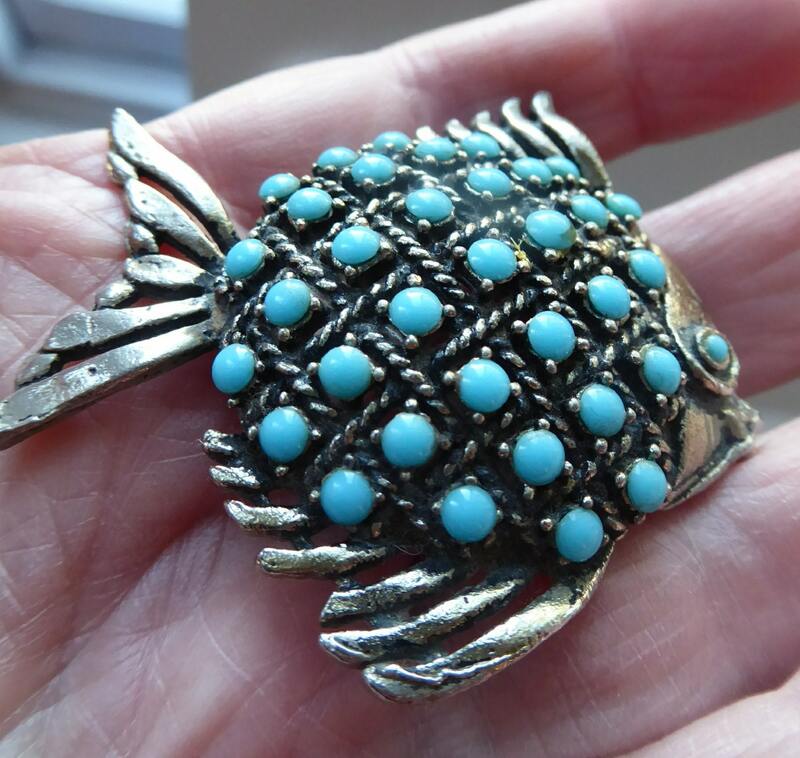 It is a nice larger piece - measuring some 2 1/2 inches in length ( just under 6 cm). The height from bottom fin to top fin is about 2 inches. With good clasp with a safety catch.